User's manuals for LEAGOO devices. LEAGOO known brand, owned by Shenzhen OTEDA Technology Co., Ltd .. In order to ensure the quality of the team OTEDA smartphones, relying on proven achievements in the field of mobile communications, in April 2014 created a new brand of smart phones under the name 'LEAGOO'. With the participation of scientific research production and supply chain team OTEDA made every effort to make 'LEAGOO' in a well-known international brand of smart devices. If the purpose of technology - to change life, the appointment LEAGOO - to make life more comfortable and easier. Brand LEAGOO, based on the principles of customer focus, aimed at technological innovation in the creation of managed ecosystems. Product quality is achieved by a constant quest for the ideal, continuous control over trifles, solid self-confidence and the attractiveness of the brand. Design - is the soul of the brand. LEAGOO always looking for the most stylish ideas, best design and is committed to ideal. LEAGOO focuses on products and service of high quality, customer service meets extremely high standards of quality. 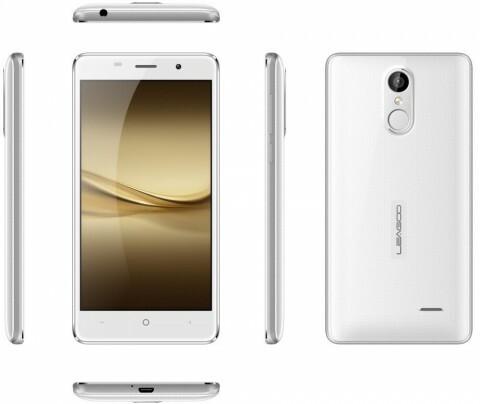 Leagoo introduced a new budget smartphone with M5 index. New made in a robust metal housing, and its display is covered with a protective glass. According to the manufacturer, in Leagoo M5 they managed to solve the problem with the release of the all-metal high-strength frame, which also will be pleasant to the touch. The gadget is presented in three body colors, including the traditional white and black: as well as the popular gold. The device has received modern hardware "stuffing", including a fingerprint scanner, and runs Android 6.0 Marshmallow.